Camel riding can be done in select places over the world, popular areas include Gran Canaria, Egypt, Australia and Lanzarote. Camel riding tours can take place over a few hours or take a whole day, and most of the time visitors will be helped by a guide to ensure that they are able to ride the camel effectively. Camels are more difficult than horses to ride especially noticeable in the mount and dismount of a camel. It is important to ensure that before you begin your camel riding expedition you are fully covered by your insurance policy. It is essential that you are covered for your camel ride whilst on holiday as well as all the other activities and aspects of your holiday, to ensure this you must remember to read the terms and conditions carefully. Don’t worry if you have just taken out a policy and realised it doesn’t fully cover you, as you have a 14 day cooling off period with any insurance policy you take out. It may be useful to consider, if you don’t go camel riding every holiday, to only take out a single trip policy instead of an annual policy. Listed below are a number of policies which offer cover for when camel riding however it is important for you to check the policy documents carefully to ensure they fully meet your requirements. 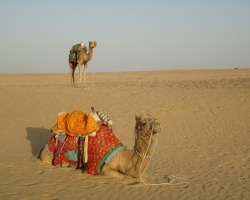 JS Travel Insurance are experts in offering insurance for specialist areas, they offer cover for camel riding. A quote for their insurance can be gained by visiting the link above. If you do suffer from a pre-existing condition don’t worry about not being able to get cover because JS Travel Insurance also specialise in this sort of cover. SportsCover Direct offer a range of policies for those wanting to cover themselves for camel riding, you can opt for a single trip policy, annual policy, in which you can take many trips, or their 'ActivityTop Up' which can be brought in addition to your existing travel insurance policy. Flexicover offer a travel insurance policy which includes camel riding at no extra charge, but it is important to consider the fact that they do not offer cover for personal liability for the activity. It is also important to make sure you are adhering to local laws and wearing the recommended safety equipment to qualify for the policy to be valid. The main injuries when camel riding are gained from falling off - including head and spinal injuries - so it is important to ensure that insurance companies cover this. However there is the possibility of gaining sunburn, sunstroke and muscle aches and strains. So consider taking along water, suntan lotion and cover up when going on a camel riding experience. Although there seems to be a large number of risks, camels are generally docile creatures and camel riding can be a very exciting experience.